Did United Arab Emirates lobbying instigate Tillerson’s sacking? Was this an unlikely coincidence? Should Americans not wake up to the power of lobby groups that are threatening to undermine their country’s democracy? It’s not clear how the dismissal of a steady figure like Tillerson amidst the mayhem surrounding Trump helps the US during the sensitive talks with North Korea. Tillerson wanted to continue and “had every intention of staying,” according to statements released by the State Department. The two men often contradicted each other on major issues. While at times their differences appeared juvenile – Trump once joked he should “compare IQ tests” with Tillerson after being called a “moron,”- the extent of their disagreement is quite unprecedented in US history. Their contrasting views over the Saudi-led blockade on Qatar probably best typify the rift between the two leading figures in the US administration. Rarely had the White House and the State Department been so at odds. On Qatar, the two appeared to have adopted distinctively contradictory policies. Tillerson and Secretary of Defence James Mattis were both said to have been “surprised” and “shocked” by the sudden move to blockade and punish the Gulf nation. Having overcome the shock and disbelief, Tillerson was reportedly scrambling to undo the damage caused by the blockade. Within days of its announcement, Tillerson called on Riyadh to ease the siege, while lending American support for the Kuwait-led mediation. Tillerson’s intervention may have surprised the UAE. They probably assumed that the deals struck during Trump’s Riyadh visit in the summer of 2017 ensured US silence over their plans to attack another sovereign country. Tillerson’s persistence, in contrast to Trump’s nod, likely turned him into public enemy number one in the eyes of the Emirates. Tillerson’s position became tenuous the moment he became a marked man; but, did it cost him his job? The timing of Trump’s decision suggests that his strong backing of the Qataris may have been a key factor; Trump, after all, was goading the UAE and Saudi Arabia to embark on a foreign policy venture that was independent of the US, despite its damage to US interest in the region. Unlike Trump, the truth of this fact would not have been missed by realists within the State Department. Speculation that the Emirates played a hand in Tillerson’s dismissal has also been fuelled by the BBC. Leaked emails obtained by the BBC revealed UAE-linked lobbying efforts to have Tillerson sacked for failing to support Abu Dhabi against its Gulf neighbour, Qatar. The emails which were addressed to Trump urged the President to sack the top diplomat who was described as “a tower of Jello”, “weak” and needed to be “slammed”. In this regard, Trump was further advised not to get involved in the Gulf rift. 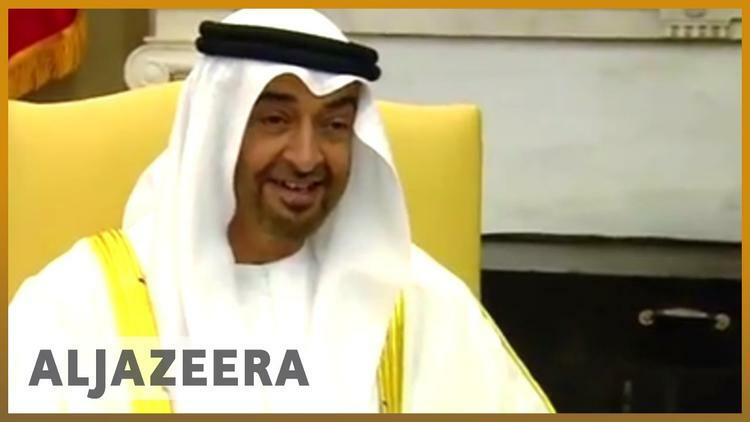 It accused Al Jazeera of doing “nothing positive.” The emails went on to suggest a “sit down” between Mohammed bin Zayed al-Nahyan, the Crown Prince of Abu Dhabi, a top UAE military commander and President Trump. Tellingly, the emails went on to advise Trump over Tillerson who was described as “performing poorly and should be fired at a politically convenient time”.